Israeli police have recommended that Prime Minister Binyamin Netanyahu be indicted on three separate corruption cases. According to Harvard Law Professor-emeritus Alan Dershowitz, there does not seem to be enough evidence to convict the Prime Minister for corruption in at least one of the cases. The case referred to as Case 2000 surrounds allegations that the Prime Minister negotiated with the publisher of Israeli newspaper Yediot Ahronoth, in order to receive better coverage in the press. In return he would help the publisher, Arnon Mozes, with a number of issues to his benefit. According to Dershowitz, this is the kind of thing that all politicians do anyway and there isn’t enough evidence to convict the Prime Minister for wrongdoings. In the third case against the Prime Minister known as Case 4000, Netanyahu is suspected of corrupt and illegal activity in pushing forward regulatory decisions as Communications Minister and Prime Minister between 2015 – 2017 that would benefit Shaul Elovitch, the controlling shareholder of Bezeq. Netanyahu would in return get favorable coverage on Walla a Bezeq owned news site. All three files are currently sitting with the Attorney General, Avichai Mandelblit, who has to determine whether or not to press charges against the Prime Minister. It is unclear as to whether Mandelblit will announce a decision prior to the election on April 9th. However, Israeli media reported that even should the Attorney General decide to press charges, the Prime Minister will not resign nor drop out of candidacy for Prime Minister in the upcoming elections even if he were already in a criminal trial. 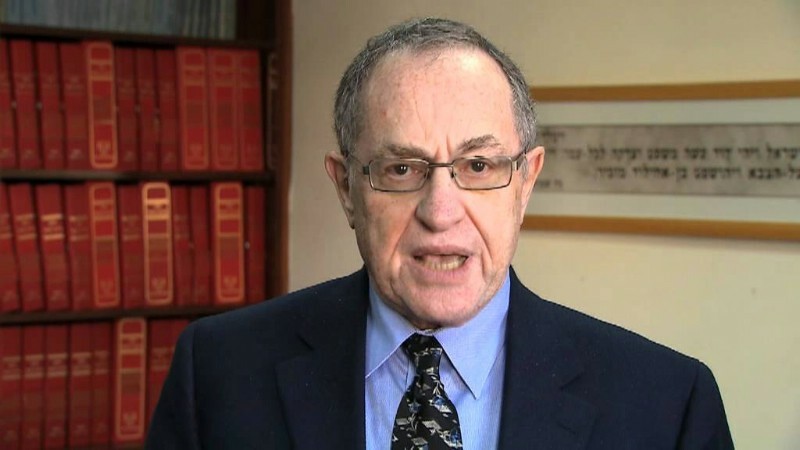 Mr. Dershowitz is not qualified in Israeli law. How does professor Dershowitz know what evidence they have!? Is he on the investigation? As if Dershowitz has access to Israeli police files. Give me a break. His knee jerk reactions to defend Drumpf, Bibi and others might make a hero in some quarters but are rather pathetic. Perhaps his lifelong job of defending all sorts of criminals creates a biased mindset. Firstly, how would he know what the prosecutors have? Second, he thought Olmert was innocent as well. Bibi has FOUR separate investigations into his conduct. I wouldn’t bet against all of them. The fact that there are so many question marks surrounding him is a good enough reason to send him home. Thank you Professor Dershowitz for being the voice of reason. And besides , who cares if he got some cigars or champagnes – I don’t love him either (I live here) but ther is NO ONE ELSE right now!!! !